Tiger Woods is hitting greens again and his now ex-wife Elin Nordegren has established residence on the cover of People magazine. Now that they have calmed the tornado of divorce with a settlement granted by a state court in Panama City, Fla., the couple may think that the worst part of their breakup is over. I know from personal experience that the hardest part of divorce starts when your ex falls in love and settles down, and his or her new partner snuggles up at night with your kids to read Goodnight Moon. Suddenly, you&apos;re sharing the mommy or daddy space with a stranger. Six years ago, after the breakup of a 20-year marriage, I watched in fretful astonishment as my ex quickly re-coupled and moved her young boyfriend into our old house with our two teenaged children, David and Natalie. My children were getting a stepfather, but to me it was like the Visigoths had entered Rome. As divorce and remarriage shuffle kids, couples and parents like playing cards in Monte Carlo, stepfamilies have become a focus of the evolving scholarship of family life. These newly formed confederations exist in so many varieties — unmarried couples, multiple household families, gay and lesbian partners — that researchers can’t get their arms around the entire untidy tribe. When the children were well into their 30s, her mother and a neighbor who had been widowed got married. Family law has lagged behind family life, too. Unlike some European countries, the idea of family has remained moored in the United States to conventional American notions of one man, one woman and their brood. But state family law and legal precedents for the most part don&apos;t attach any significance to step-relationships, and, in the words University of Pittsburgh law professor Margaret M. Mahoney, stepparents and stepchildren remain "legal strangers." 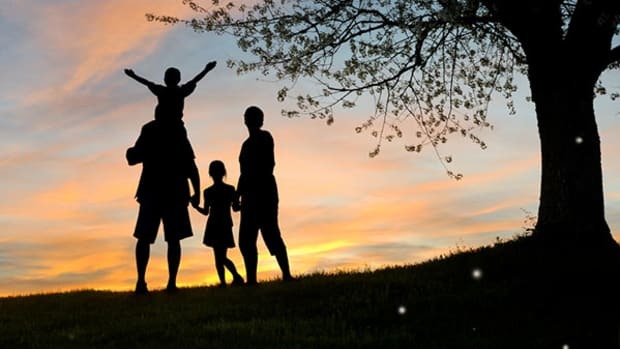 That makes it difficult if not impossible, for example, for a stepparent to be recognized as a legal guardian or for a stepchild to inherit what a stepparent leaves behind when there is no will. “The only way that a stepparent can get official legal ties to a stepchild is if the stepparent adopts the child, but that can only happen if the nonresident parent agrees to relinquish all their rights because a child can’t have three parents,” Stewart told me. Divorce isn’t going away. In late June, New York state became the last state to approve some form of no-fault divorce, although other states have toyed with making divorce harder (or perhaps marriage more durable). Researchers, meanwhile, have been most concerned about what the marriage-go-round does to children. One incontestable fact is that children of divorced families and stepchildren fare more poorly, although most of the difference is in finances, and the differences overall aren’t substantial. 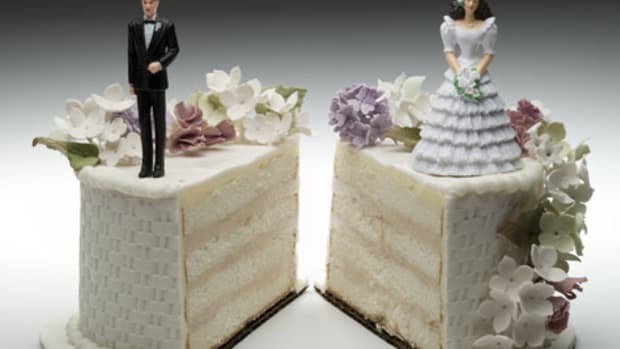 Judith S. Wallerstein, senior lecturer emerita at the University of California, Berkeley, has said that the trouble and trauma of divorce lasts a lifetime and isn’t limited to the years around the breakup. Wallerstein has also produced a controversial interpretation of divorce known as the “primary psychological parent” doctrine that emphasizes the mother-child bond and says a father isn’t crucial for the child to thrive. Several prominent researchers and scholars dispute Wallerstein and believe a child does best when there are two nurturing parents. Children of divorces, these other researchers have shown, by and large grow to become reasonably happy and well-adjusted adults. Properly integrated into new “binuclear families” with stepmothers and stepfathers and their children, the new relations can form a network of child support, nurturing and friendship. Exactly how to be a stepparent confounds many new couples. Fourteen years ago, an article in the Journal of Divorce and Remarriage showed that stepmothers choose among styles that include being “super good,” detached, uncertain or a friend. Psychologists E. Mavis Hetherington and James Bray and sociologist Constance Ahrons conducted longitudinal studies that found kids resent stepmothers more than stepfathers and that the kids have tremendous power in determining if the remarriage will last and succeed. Even adult children, says Wednesday Martin, author of the book Stepmonster, can feel themselves caught between loyalty to their biological mother and their stepmom. And kids don’t like seeing dad being affectionate with his new wife, she writes. Divorced dads do a lot of adjusting, too. Hetherington, a professor emeritus at the University of Virginia’s Department of Psychology, along with colleagues conducted extensive interviews with divorced parents. She wrote that an emotionally detached dad before the divorce doesn’t matter much if after divorce the mom does a good job, especially with girls. Hetherington also identified different reasons dads bow out of kids’ lives after divorce, including laziness and preoccupation with new girlfriends and their kids. Others were shut out by ex-wives or wearied of battles over how and when to see the kids. And still others went AWOL because they now lacked control over decisions about their children. They felt shut out. Before long, Elaine had also snagged a new young beau, Mike. All I knew about him was that he fixed and built boats on the waterfront, had no kids and was 12 years younger than I was. I thought, it could be worse. It could be a yoga instructor. Or the Domino’s delivery boy. When I passed the house in the bus on the way home from work, I spied Mike sitting in my chair at the kitchen table, where, I supposed, he was getting the big piece of chicken. On weekend afternoons, I’d see him in Elaine’s car with David, on their way to the target shooting range, and I’d swerve angrily around them. I hated the sight of Mike’s blue van in the driveway, because it meant I couldn’t pop in on the kids. David and Natalie were always edgy about keeping Mike and me from running into one another. Although many children living with a stepfather remain highly involved with their nonresident biological fathers, almost a third of children surveyed for a 2001 study reported having no contact with them in the past year. Exactly why isn’t clear because various study findings have been inconsistent, writes Megan M. Sweeney, a faculty member in the California Center for Population Research at the University of California, Los Angeles. Her review of the recent scholarship of stepfamily life appears in the June 2010 issue of the Journal of Marriage and Family. More recent research has focused on stepfathers. Consistent with the idea that stepfamilies are incompletely institutionalized, four separate studies from 2002 to 2004 describe stepfathers as entering a complicated "family dance" upon becoming involved with a woman with children. The stepfather must negotiate his place in his partner&apos;s life, her children&apos;s lives, and often the lives of a biological father and his relatives. Kids do better when they have good relationships with stepfathers and nonresident biological father, Sweeney reports. While some studies show that kids develop independent relationships with stepfathers and biological fathers and that the relationships don’t affect each other, qualitative scholarship “points to instances where stepfathers act as ‘father allies,’ helping a stepchild develop or maintain a close relationship with the biological fathers, writes Sweeney. Other work, Sweeney reports, suggests that parenting style among residential stepfathers may depend on the biological father’s level of involvement. So I was supposed to work as a team with Mike. Instead, I was thinking about my dates and my new girlfriend. Meanwhile, my kids were dealing with all the changes created by the divorce. That’s typical of divorced parents, say researchers who’ve found that parenting skills decline in the years immediately after the breakup. Although my girlfriend had me and my kids together with her family during holidays, and on my birthday she bought pizzas and tied a balloon to the back of a kitchen chair, I never could find a comfortable place in her life or with her kids, and we broke up. Dating again, I imagined falling in love with a woman whose children would adore me, to whom I would bring security and continuity. I wanted a book-lined den and children asleep in their bedrooms. I wanted something like I had before. That was never going to happen and improvisation has become the new style. You have to wonder if stepfamilies will ever acquire enough “institutional stability” to give form to all the flexible, discretionary relationships, but it shouldn’t matter. Family law, one state at a time, has to be overhauled rapidly so that law and judges support all the new stepfamilies and recognize and reward good care and nurturing bonds. The best way to do that may be to follow the example of England, where, as psychology professor Mark Fine has pointed out, stepfamilies have the right to establish legal relationship. Close-knit, well-adjusted stepfamilies, Stewart notes, would be the most likely to formalize their relationships. Beyond public policy, I see with the perspective provided by time how my old prejudices and wounds prevented me from recognizing that the organizational chart had been redrawn, even if I couldn’t accept it or accept Mike. To get my kids out of the middle of the father-stepfather loyalty bind, I had to accept Mike. Before that could happen, someone affectionate had to come into the picture. One day, when Elaine was dropping the children off at my apartment, out of the car spilled a big goofy yellow Labrador. Mike had finally moved into the house with Elaine and the children, and this was his dog. I started taking Holly for walks with my kids, and when the kids were busy, took Holly out for runs in the park, just the two of us. As far as comparing her to my teenagers, Holly acquiesced to hugs, chewed sticks instead of gum and preferred food to money. The whole rough transition was smoothed over and equalized once I had a potentially rewarding new domestic relation thrust on me, too, with a stepdog. Not long after Elaine invited me to dinner, and I sat down at the old kitchen table again for the first time with my ex, her broad-shouldered young husband and our kids.